Interior view of the Hawaii State Capitol building. Referred to as SB686, the bill would allow for the use, possession, and sale of cannabis, permitting the operation of related establishments under proper licensing. Limiting possession to one ounce, the bill also applies state excise and income taxes to cannabis businesses. Now, the legislation is to be sent to the state’s finance policy committee, Ways and Means.4 Before the bill is formally voted on by the Senate, it is expected to be subject to several Senate panels and review. Hawaii’s potential legalization for cannabis does mark a noteworthy change in how cannabis law has been presented within the United States. In recent years, legalization has been a direct result of citizen initiatives. As of this time, Vermont is the only state to have legalized by means of a legislature-passed bill.5 Colorado, Washington, Oregon, Alaska, California, Massachusetts, Nevada, Maine, and Michigan legalized recreational cannabis by ballot measures. If Hawaii does successfully pass the bill as law, retail sales would not be expected until mid-winter of 2021. Jaeger, Kyle. “Hawaii Lawmakers Unanimously Approve Marijuana Legalization Bill In Committee.” Marijuana Moment. February 07, 2019. 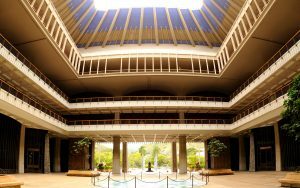 Accessed February 08, 2019. https://www.marijuanamoment.net/hawaii-lawmakers-unanimously-approve-marijuana-legalization-bill-in-committee/. Burnett, John. “Marijuana Legalization Bill Clears Committee Hurdle.” Hawaii Tribune-Herald. February 08, 2019. Accessed February 08, 2019. https://www.hawaiitribune-herald.com/2019/02/08/hawaii-news/marijuana-legalization-bill-clears-committee-hurdle/. “David Ige (D).” KHON. August 02, 2018. Accessed February 08, 2019. https://www.khon2.com/news/political-news/david-ige-d-/1335572947.